If you are looking for some cool things to do beyond NY, check out some of these activities in Pennsylvania. You don't have to stay in New York to have a good time. Whether you are looking for a family day or activities to do with your friends, you will find cool things to do in PA right here! 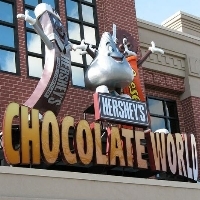 Feel and smell the delicious chocolate from the Hersey’s Chocolate World Tour in Hersey, Pennsylvania. Follow the transformation from bean to milk chocolate. Enjoy the free 10 minute Omni mover dark ride while watching simulation of the chocolate making process. At the end of the tour, visitors will get a free sample of Hersey’s products. If your children are up to another adventure, try out the “create your own” candy bar exciting experience with affordable prices. Or if the visitors have a sweet tooth, they can embark on an adventure of chocolate tasting. This one day adventure with chocolate is the coolest thing to do for the entire family. The tour is open almost every day, hours vary but it starts at 9 a.m. 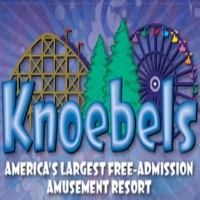 This is without a doubt one of the coolest things to do in PA.
Knoebels Amusement Resort is a family owned and operated amusement park located in Elysburg, Pennsylvania. Since its opening in 1926, the park has been home to many joy rides including roller coasters, a carousel, and many more. With free admission, visitors can enjoy some of the cool things to do here, whether enjoying the rides, having a picnic or enjoying family moments with PA camping grounds. For the summer, kids can cool off in the Giant Crystal Pool, complete with water slides and diving boards featuring 900,000 gallons of mountain stream water. The morning sport activity can begin at the Three Ponds Golf Course, an 18-hole regulation length golf course. The Liberty Bell Center stands proudly in Philadelphia as an iconic symbol of American independence. 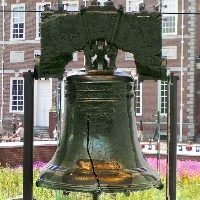 The bell was cast with the lettering from Leveticus 25: 10, “Proclaim LIBERTY throughout all the land unto all the inhabitants thereof”. The center offers a video presentation and exhibits about the Liberty Bell, focusing on the origins and modern day role. History is not only best to be remembered but it is also a cool thing to do when in Pennsylvania to reflect on the future. Beginning in the late 1800s, the Liberty Bell traveled around the country to help heal the divisions of the Civil War. In 1915, it found its last trip home to Pennsylvania. The Morris Arboretum of the University of Pennsylvania is open daily on except major holidays. It is home to more than 12,000 labeled plants with approximately 2,500 types growing in the Arboretum’s living collection. One of the most outstanding features of the estate is the collection of large and stately trees. Try visiting the cool garden as one of the things to do here in PA, because the gardens span the centuries, designed by the finest local architects of their time. 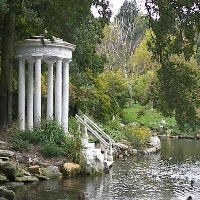 The romantic Swan Pond will captivate visitors with its 18th century landscape design style. This Philadelphia arboretum has won over many visitors with its beauty, design and varied plant collections. It is very cool to learn something from playing. 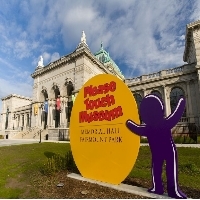 That’s the mission of the Please Touch Museum in Philadelphia. By touching things, children can engage their senses and ignite their imaginations. One of the features in the museum, the City Capers, allows children a realistic urban environment of buildings from Philadelphia’s skyline, a construction zone and Children’s Hospital of Philadelphia, and other things to do that create a neighborhood inside the museum. This Pennsylvania museum opens from Monday to Saturday at 9 a.m. – 5 p.m., and on Sunday at 11 a.m. – 5 p.m. This is one cool thing to do in PA! 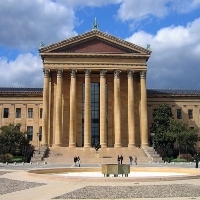 The Philadelphia Museum of Art has more than 227,000 object collections that include paintings, prints, drawings and decorative arts. For art lovers, visiting this museum is the coolest thing to do in PA. The museum is visited by hundreds of thousands of people every year. The famous Vincent van Gogh Sunflower is here for public visitors to enjoy. Other painter's artwork is also hanging on the wall of the museum, such as Paul Cexanne and Salvador Dali. The museum is divided into sections, from American Art, European Art, Modern and Contemporary Art, and Asian Art. The museum is open from 10 a.m. to 5 p.m., with exceptions for the Main Building and Perelman Building which are closed on Monday, and Rodin Museum which is closed on Tuesday. The Independence Hall is located on Chestnut Street between 5th and 6th street. It is known primarily as the location of where the Declaration of Independence and United States Constitution were debated and adopted. 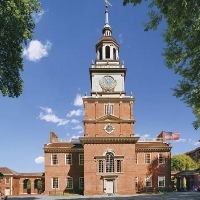 It was constructed between 1732 and 1756 as the State House of the Province of Pennsylvania. One of the main features in this hall is The Rising Sun Chair which was used by George Washington during the Constitutional Convention in 1787. It is a cool thing to do in PA to relive some of the greatest history moments of the nation that happened in this place. 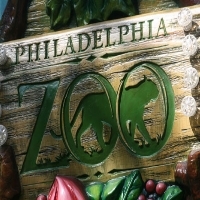 The Philadelphia Zoo, located in Philadelphia, Pennsylvania, opened on July 1, 1874. It opened with 1,000 animals. The zoo is 42 acres and is home to more than 1,300 animals; many of them are rare and endangered. It also features a children’s zoo, a cool balloon ride, a paddle boat lake, a rain forest themed carousel and much more. There are so many cool things to do here for families and Pennsylvania visitors. The zoo also features The Rare Animal Conservation Center, The Reptile and Amphibian house, small mammal house, Bird Valley, McNeil Avian Center, Big Cat Falls, Carnivore Kingdom, and so on. It opens from 9:30 a.m. to 5 p.m. during in-season hours and 9:30 a.m. – 4 p.m. during off-season hours. 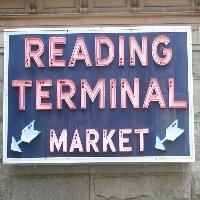 The Reading Terminal Market is one of the oldest markets in Pennsylvania. It is now home to over one hundred merchants that offer fresh produce, meats, fish, crafts, books, clothing, and more. Enjoy the crowded market as visitors take a cool walk around the mouth-watering aromas. The most important thing to do here is to taste the culinary treats and buy some of the unique merchandise. The market opens from Monday through Saturday from 8 a.m. to 6 p.m. and on Sunday on from 9 a.m. to 5 p.m. Not all merchants open on Sundays. This is one cool thing to do when you go to Pennsylvania. The Masonic Temple, built in 1873, is located directly across from Philadelphia City Hall. The cool experience of a beautiful architectural journey can inspire visitors beyond their imaginations. Going to this temple is one of the cool things to do when visiting Pennsylvania. From the moment visitors step through the front door you will see the mysterious aura combined with superb church-like structure design. 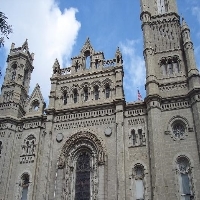 In the year 1971, the temple was listed on the National Register of Historic Places and also a National Historic Landmark. Tours are available from Tuesday through Friday once every hour from 10 a.m. until 3 p.m., and on Saturday from 10 a.m. until 12 p.m.